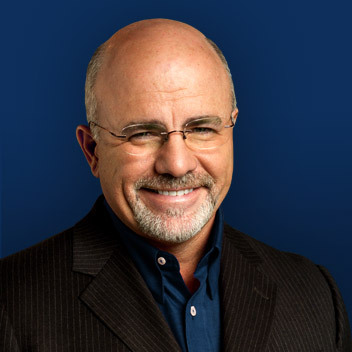 Dave Ramsey recently posted on his blog a list of 20 things that rich people do that poor people don’t do (the idea being that poor people are to blame for their poverty). Among the list were that rich people write down their goals, read books, make their kids volunteer, teach good daily success habits to their children, etc. Well, I was reading through my dad’s Economist magazine last night and I found a 21st item to put on Dave’s list. Apparently it’s a growing trend for really rich people to buy expensive artwork, and, instead of hanging it up in their homes, store it in giant, tax-free warehouses in places like Luxembourg to use as investment currency instead of stocks or bonds. These warehouses are called freeports. They are often located next to airports, so that super-rich people can fly around to look at each other’s artwork. The warehouses have showrooms where you can take out your paintings and put them on display for another super-rich person to buy. What was unclear from the article is whether the paintings actually get stored in a different place after a transaction is made or if a change is simply made in the site database. If I were the warehouse manager, I would just as soon keep all the Kandinsky’s together in one pile and all the Picasso’s in another pile and simply make the change electronically. For some reason, this image offends me more than just about anything else I’ve read about the widening wealth gap in our world in which most of the money that gets made is made passively off of investments while the stock market keeps going up and the job market keeps stagnating. Is there anything more culturally barbaric and disdainful to art than to store it in a warehouse and trade it as currency? We were talking in our Bible study this past Sunday about the way that love is the only true wealth. The stuff that we own is only meaningful to the degree that we can share it with other people. Art only has real value if it’s part of creating an ambiance that others can enjoy. It’s a tragedy that global capitalism has reduced even art to being a commodity whose only value is to serve as an object of exchange. But there’s another way of understanding wealth. Dave Ramsey is suggesting that how rich you are reveals how disciplined you’ve been in life. If the purpose of wealth is to demonstrate how much you are worth as a person, then it doesn’t matter what the Kandinsky’s and Picasso’s actually look like; what’s relevant is how many of them you have in the warehouse. Thank God Christians have a different basis for understanding our worth than this cut-throat meritocracy Ramsey would like everyone to live under. Some poor people have indeed made stupid choices. Some rich people are wealthy because they gamed the system without contributing anything useful to society. What Dave Ramsey’s list actually shows is that rich people have a lot more time and resources to pursue meaningful activities. You can’t make your kids do 10 hours of volunteer work a month if you’re working two minimum wage jobs 6-7 days a week. It should be scandalous to Christians that poor people cannot survive in our society without working to such a degree that they do not have time to spend with God or their families. We should support whatever macroeconomic changes would support a world where working class people can have a basic level of economic stability and still have time for meaningful pursuits. A world in which artwork is being stored in warehouses in Luxembourg is a world in which God’s wealth has been obscenely squandered. This entry was posted in Culture and tagged Art, Dave Ramsey, Economist, Freeport, List, Luxembourg, Poor, Rich, Wealth. Bookmark the permalink. Amen! Great post, Morgan. “Some rich people are wealthy because they gamed the system without contributing anything useful to society.” Gaming is a fitting model. Some of my right-wing friends who are “free-market” advocates try to convince me (in vain) that (for example) the outrageous salaries of CEOs (or athletes or art collectors) are justifiably “earned.” I maintain the contrary: marketplace rewards are NEITHER just, NOR unjust—which is to say, justice (in the fairness sense) has nothing to do with it. Rather, those who know how to play the “game” win; those who don’t lose. It should be scandalous to Christians that poor people cannot survive in our society without working to such a degree that they do not have time to spend with God or their families. We should support whatever macroeconomic changes would support a world where working class people can have a basic level of economic stability and still have time for meaningful pursuits. I am interested to see Dave Ramsey’s list. Unfortunately, the link doesn’t work. Poor people do, indeed, read books. I am a poor person (a “starving artist”) and I go through about 5 or 6 library books a week. I recall reading, also, that poor people generally give more to charity and of their time as a percentage of their wealth than rich people do. They just don’t have enough to give that they get hospital wings named after them so people don’t notice. These stereotypes about how uncultured the poor are lead to such things as the financial managers of the city of Detroit considering selling off the art in the Detroit Institute of Arts as part of a bankruptcy settlement. The urban poor don’t need culture. I think of the starving artists who created those works, who chose the financial risk of an artists life, in order to create something for the world. I had not heard of these warehouses before. I’m a bit horrified by the idea. Exact same issue I have with that article. Some of those habits are impossible for someone who is working a minimum wage job. However the rest of his plan is very good. Get out of debt, live within your means, then give like nobody else gives. The giving part is key or else I’m just doing all of this so I can live in comfort the rest of my life. “However the rest of his plan is very good. Get out of debt, live within your means, then give like nobody else gives.” I’m all in support of that. We do his Financial Peace program at our church.